Bridgestone Blizzak DM-V2 is a non-studdable winter tire for light trucks and SUVs. With the new DM-V2, Bridgestone Blizzak expanded its family of quality high winter tires. Designed for light trucks and SUVs, the Blizzak DM-V2 presents a new tread design and a new generation tread compound that provides better handling and more control in winter conditions, no matter if you are on ice, snow or slush. The Blizzak DM-V2 represents a technological breakthrough and a big improvement over its predecessor, the Blizzak DM-V1.The improved characteristics include among other things the Multi-Cell gum Bridgestone compound, which functions to disperse water from the contact surface of the tire on ice for improved skid resistance and braking. Moreover, the new tread structure of the Bridgestone Blizzak DM-V2 has 15% more shoulder blocks, which effectively optimize traction and give more teeth to the tire in snowy conditions. The tread of the Blizzak DM-V2 is developed with Nanopro-Tech technology that distributes silica more effectively to evenly distribute the pressure and the tire contact on the road, allowing great stability in all conditions and improving traction on ice. This technology vanguard also helps to maintain the flexibility of the gum for a foolproof performance in extreme cold condition. The net performance improvement of the Bridgestone Blizzak DM-V2 in winter conditions is also due to the block rigidity of the 3D stripes and zigzag stripes, which increase the number of biting edges. In short, with its new Blizzak DM-V2, Bridgestone offers a versatile tire designed to deal with the bad weather and harsh conditions of Canadian winters. 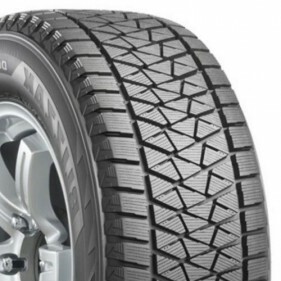 The winter Bridgestone Blizzak DM-V2 tire is consistent with Quebec's Bill 42. According to PMCtire’s evaluations, the Bridgestone Blizzak DM-V2 is among the 5 best tires of the Winter Tires - SUV & Light Truck category. 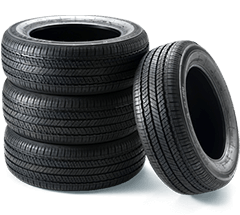 This tire is recognized for its excellent wear resistance, low rolling noise, and high efficiency performance in terms of traction on ice and snow. 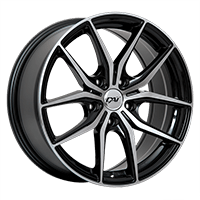 The Blizzak DM-V2 is an innovative tire that will satisfy van and SUV drivers looking for a tire that ensures absolute control in all conditions.